Biman’s headquarter—the Balaka building—would remind anyone of the bygone days. Post-and-beam structures with marble mill-decking floors; the dusty, drafty, energy-inefficient building also has lousy acoustics. 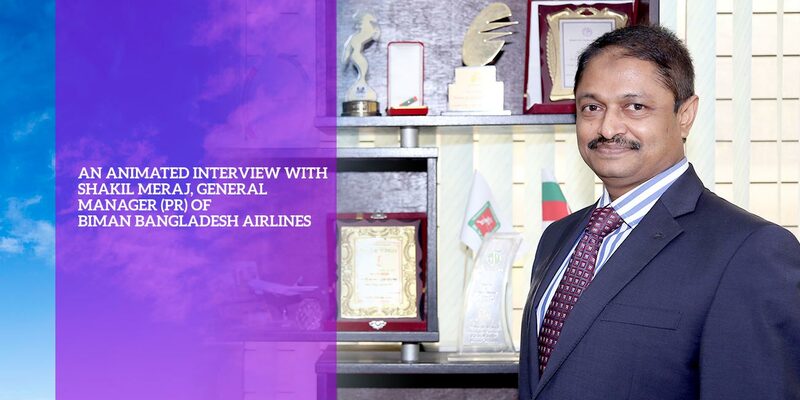 Inside, on the first floor, sits a man of modern thoughts—Shakil Meraj, the General Manager (Public Relations) of Biman Bangladesh Airlines. The Fintech team recently went to his office to talk about Biman’s new plan and vision. Here is an excerpt of that interview for our readers. FINTECH: How did you begin your career and reach the position you are now at? Basically, I started my career during my student life. I worked as a university correspondent of then Bangladesh Observer in late 80s. At that time Bangladesh Observer was one of the leading newspapers of the country. During my campus life at the University of Rajshahi, I used to work with newspaper as well as some social organizations like as well. After graduation, I joined The Financial Express. I worked for Financial Express till September 1994 and then I joined Biman as an officer in administration. At Biman, I worked for HR and Admin for 10 years and then I switched to other departments like customer services, and logistics support and flight operations in different capacities. In 2016, I was promoted as General Manager and the management entrusted me with that position with PR spokesperson, Head of Public Relations. FINTECH: What are the main challenges of your position? After assuming the position of GM, PR, I started establishing a rapport with the media because this is the age of media; if you don’t have any presence in the media then you are absolutely nowhere. The challenges are multi-faceted, because new media is coming—you know Facebook, Twitter, Youtube all these things—now we are calling them citizen journalism. Airlines business is a very dynamic business and there are lots of incidents/accidents happening every day, and we have to meet all these crises. Crisis communication is a major part of my job and as well as brand promotion, marketing, CSR and corporate communications. All these things comprise my scope of work. So it is a challenging job and I am enjoying it a lot, my knack for journalism and my journalistic network helped me a lot to carry out my present responsibilities. Biman also had invested in me a lot for grooming me up and I have had the privilege to attend so many trainings at home and abroad, including trainings at Sofia, Singapore, London, Kuala Lumpur, and Bangkok. I have also got the opportunity to meet all the media gurus, all the branding gurus, and all the HR gurus. FINTECH: Can you tell us a bit about the history of Biman? Biman, as an airline started its journey in January 4, 1972 immediately after 18 days of independence of Bangladesh. So Biman is the first brand of Bangladesh and it not only promoted an airline, but also promoted the country. Biman’s call sign is Bangladesh, when Biman flies over any country in the continents of the world, then Biman pilot and ground control tower communicates by calling ‘hello Bangladesh’. So whenever I am going to London sitting in the cockpit and chatting with the pilot, at that time say Afghanistan control tower is calling ‘ hello Bangladesh, good morning,’ I feel an immense sense of pride. In Biman, providing service is the main priority, not making profit. Our Liberation War took place to rebuild the country and keep its financial gears active, and connectivity was needed which was provided by Biman. Biman is a unique airline because it started its journey literally with no aircrafts. The birth of an airline without any aircrafts is really uncommon in the world. Also, the first commercial flight of Biman was not on a domestic route but on international route. We rented a British-Caledonian chartered aircraft from London to Dhaka, and on March 4, 1972 the Biman’s journey began with 170 passengers. The domestic operations began on March 7 with a F27 aircraft and it flew from Dhaka to Chittagong. For the last 46 years Biman carried so far five crore 50 lakh people across the world. We used to fly our fleet to USA as well as to Japan Tokyo but now those operations are shut down because of some technical reasons. FINTECH: What is the latest condition of the Biman’s fleet now? We have modernized our fleet. Right now, in our fleet, we have a total of 15 aircrafts. Just to let you know that we have got one of the youngest fleet in the world as the average age of our planes— owned aircrafts—is 3.7 years. We have a robust fleet and we have the best aircrafts in the world. Boeing 787 Dreamliner was added to our fleet on August 19 and the second Dreamliner will arrive in the last week of November. The third and fourth aircrafts will join our fleet on September next year. Our third Dash 8 aircraft joined the fleet on September 22 which will complement our domestic service. Our domestic flight frequency will almost double after the addition of the latest aircraft. For the last five years, we have experienced a robust growth in the domestic routes due to a passenger boom. With its down to earth prices, Biman Bangladesh Airlines has managed to bring air travel within the reach of upper middle class people which was a luxury for them, including taxes, we set the fare from Dhaka to Chittagong only Tk 1,500 including all taxes. This price is lower than buses, and it has helped to create a new breed of customers, expand the market and we have added aircrafts to our fleet to meet this increased demand on domestic routes. At the same time Biman is likely to expand its wings on the new horizon, we going to procure another two Boeing 737-800 aircrafts in coming December, and after adding those aircrafts, we will spread our wings to Guangzhou, Colombo and Male. And we are also planning to open new destinations to Madina in Saudi Arabia. Right now Bangladesh Biman has agreements with 52 countries. We used to fly to 29 destinations once upon a time but now it is 15 international destinations and another five will be added next year. So we are in a quick expansion plan. FINTECH: Is there any plan to restart the Dhaka-New York flight? Yes, we are fully ready to operate the Dhaka-New York flight right now, but we cannot. That is not our limitation but it is the limitation on the part of Bangladesh Civil Aviation Authority, our regulatory body. They are now enlisted as category two by the USA Federal Aviation Authority and they are trying to upgrade that status to category one. When they will go to category one then we will be allowed to enter the space zone of USA. So we are looking forward to it. FINTECH: Do you still operate Dhaka-London flight? Yes, we operate the Dhaka-London flight four times in a week and in the next December we are going to increase it to six flights in a week. We are operating in Heathrow for the last 46 years and Heathrow is one of the busiest airports in the world. Having a landing permit or slot over there is a million dollar question and many world famous airlines do not have the right to land at Heathrow. Since we have got a strong relationship, they treated us very well and they granted extra two slots so that we can increase our frequency for Dhaka-London six times in a week from December. And it is a profitable route, and this is the best option for people here to go to London as it is a non-stop flight. A total of 26 airlines operate from Dhaka to Europe via a transit but we fly non-stop. Biman goes to London directly on a 10 hours 32 minutes flight with the best aircraft in the world, Boeing 787 Dreamliner. You can enjoy wi-fi while flying 43,000 feet up in the sky, you can use your mobile phone and make a phone call anywhere in the world, Viber, Messenger or direct phone anything you want whenever you need it. We offer our customers the best in-flight entertainment in the world. We also offer on-board seat auction facilities. Our configuration is 24 seats for business class and 243 for economy class. If we can see that five seats are left in the business class, they are not sold then we offer these seats to the economy class while flying. Whoever is interest to come to the front can take part in the auction, anybody can bid in the monitor and the top five bids can come to the business class. So this helps to maximize our revenue and increases customer satisfaction as well. We have also introduced in-flight duty free shop which one can avail by using credit cards. Our Dreamliner safety wise, customer comfort wise is unique and in that sense our cockpit is paperless. Another thing is the passenger who will travel by 787 will feel the cabin pressure of 6,000 feet although the aircraft flies at 43,000 feet. So air quality will be good, the moisture content and humidification everything, people will be refreshed after their flight ends, they won’t feel fatigued. So this is one of the new features of 787. FINTECH: You are going to use Dreamliner 787 in which other routes? We have plans to go to Dammam four times in a week and six times to London by using these two aircrafts. We have already got one and another is coming in December. We are using the aircraft to fly to Kuala Lumpur and Singapore right now just for one and a half months to make our pilots productive and to give them the short-term training. Then we will switch over initially to Doha and Kuwait from October 16 to December 1. From December we will get the traffic rights from Heathrow. FINTECH: What is the growth of Biman? In the last fiscal, Biman carried 25 lakh passengers, and the passenger growth is phenomenal. We had a growth of nine lakh passengers in the last four years. But right now we cannot go for massive expansion due to some limitations of the airport. The airport capacity is already exhausted, this airport was built in 1979 and now it is 2018. The capacity for handling passengers is already exhausted. At any time if you go to the domestic terminal, you will see it is crowded like a fish market. Earlier, our flight frequency per week to Syedpur was three but now it is 90. But the airport facilities have not increased. We are running 14 flights to Cox’s Bazar using Boeing, and our government has taken the initiative to build a third terminal. We cannot go for expansion until the third terminal is built. Without transit, you cannot increase passengers with point-to-point service. In order to have transits you need the infrastructure. Here we have only 8 boarding bridges, when 14 planes land at a time then the boarding via bridges becomes impossible, we need to bring passengers using the remote bay which takes a lot time and we cannot provide the proper service. Just by upgrading the airlines will not do, you have to increase the infrastructure for the service provider which has not been done. FINTECH: What supports do you need to expand Biman’s operation? The Civil Aviation Authority of Bangladesh needs to be upgraded for the expansion of the aviation sector of Bangladesh. We need a big support from the government in terms of fuel cost. For any airlines around the world, 50 percent of the total business operating cost accounts for the fuel cost. The fuel cost in Dhaka is higher than any other airport in the world. It costs us 40 percent more to buy fuel from Dhaka compared to Kolkata. However, the price is the same when you are selling tickets, be it IndiGo or SpiceJet, we cannot ask for a higher ticket price but we are buying fuel at a 40 percent higher cost compared to them. So how can I survive? Despite all the odds, Biman is making profit, in 2014-15, 2015-16 and 2016-17, for three consecutive years we made a profit of 606 crore Taka. In the last fiscal, we contributed to the government exchequer 371 crore Taka as tax and we have already paid 5,500 crore Taka to Boeing as an instrument of loan to purchase the aircrafts. So we are doing well in terms of business performance and operations. Our passengers are increasing, our profit is also increasing and we are now focusing to enhance customer satisfaction. For that end we have already appointed 170 young, smart and talented people for cabin service or in-flight service. We have recruited 700 people for ground service to ensure a smooth baggage delivery service. We have set our target to recruit another 30 people very soon; we have already given the notice. We will need more people when we expand our fleet. It is our target that after the termination of your journey when the passengers land, the first baggage drop on the baggage belt will be in 20 minutes and the last baggage drop will be in 70 minutes respectively. We have achieved 95 percent of this target in the last three months. The rest five percent was not attained due to the shortage of baggage belt, we have only six baggage belts for delivery, and we cannot deliver unless one is completed. Biman is now at the crossroads, we are looking forward, we are moving forward and have recruited 30 university graduates for the post of management cadres, their training is ongoing and they will join our team soon. In the last board meeting, a new manpower setup was approved to make Biman more functional and more dynamic. And our support service, the catering center is ISO 9000 approved, it certified, compliant and serves halal food. The catering center not only serves 28 lakh meals in year to Biman, it also serves meals to six foreign airlines and makes profit. Our poultry complex at the backend of the catering center is supplying chicken and organic food. Our airlines training center is approved by the European Aviation Safety Agency where skilled pilots, cabin crew and mechanics are produced. This center is the only one in South Asia and it is also approved by EASA. India, a country of 140 crore people does not have one but we have established ours. It is fully compliant and anyone who passes out from this institution can not only work in Biman but in any airline in the world. So Bangladesh Biman is playing a significant role to create skilled professionals in the aviation sector and working to develop the aviation sector. Those who retire from Biman are now contributing to the private airlines. FINTECH: Can you tell us something about Biman’s activities outside of its airline’s operation? Not only that, Biman as a career contributed a lot to expand the labor market of Bangladesh from the 80s. Whenever there was any international crisis, for example during Iraq War or the crisis in Libya, Biman was used as a ferry flight to evacuate and rescue people. Even now, Biman has not forgotten the Bangladeshi labors who work overseas. If anyone of them dies while working in Saudi Arabia, Oman or Qatar, Biman brings back the dead body as part of its CSR activities. No other airlines, US Bangla or Emirates provide this service but Biman offers this service as part of its social responsibility. The fact is, 16 crore people of Bangladesh are the owners of Biman, that is why we call Biman a piece of Bangladesh on the air. Biman carries the people who keep the financial wheel of Bangladesh moving. Out of respect of the deceased overseas labor, we do not stack any goods over the coffin when it is brought back to Bangladesh. Last year, we brought back 873 dead bodies free of cost. During the Rohingya crisis, we did not levy any handling charge for the food brought in cargo as humanitarian relief. Additionally in the sports arena, Biman played its part to develop cricket, and during the first international cricket match in 1977, Biman sponsored the MCC England team. In the first ICC Championship in 1997, Biman sponsored the Bangladesh cricket team. Biman Bangladesh’s cricket team played in the first division and premier league for 30 years at a stretch. When cricket in Bangladesh was at its infancy, Biman provided the support all through. In chess, names like Niaz Murshed, Zia and Rifat are all products of Biman imcluding Leenu in table tennis. The national beach volleyball tournament which will be held at Cox’s Bazar from 29 September, Biman will sponsor the event to promote tourism and the longest beach in the world. Biman organized a ‘joy ride’ for orphaned children last year. FINTECH: There are lots of complaints against Biman. What do you have to say in this regard? Yes, there are lots of complaints against Biman as a service providing organization, something which is natural because there are bound to be complaints. We take those complaints into consideration, try to minimize them and provide compensation whenever we can. The complaint of delay is applicable for all the airlines, but our media is extremely sensitive about the aviation sector and publish reports on trivial issues. For example, we have only one runway, and when VIPs travel like the Prime Minister, the runway is closed for two hours. Inevitably, there will be a delay for two hours. When there is fog in Dhaka city especially during winter, the flight operations remain suspended for six hours. During such circumstances we cannot avoid the delay. Delay also occurs when there is a storm brewing in Cox’s Bazar and you know that Bangladesh is a cyclone prone country. Like I mentioned earlier, when 14 planes land at a time, there is congestion in the holding area and since Biman does not get the clearance, it cannot land which results in delay. Even the traffic jam in Dhaka is a reason for delay, for example the pilot who lives in Jatrabari may be stuck in traffic at Rampura Bridge, and we cannot do anything about it. So there are many reasons for delay and some of them are out of our control. Yet Biman is trying to compensate whenever possible. If you take the reality in consideration, Bangladesh is not like Singapore or UAE so you cannot make a fair comparison. We feel that the flag carrier of our country is operating with pride and making profit whereas airlines like Air India or British Airways are struggling to stay on air. Many renowned airlines have been forced to shut down but Biman is functioning for more than 40 years with pride. We want to move forward with the love of people, we respect their sentiments hope for their support. The government identifies Biman as need versus reality, but the government does not give even a single penny of subsidy to Biman. We receive our salary, pay taxes to the government and pay off Boeing with the money earned from selling tickets. Biman is not a loan defaulter but you will find many organizations in this category. Biman does not owe any amount to any bank. 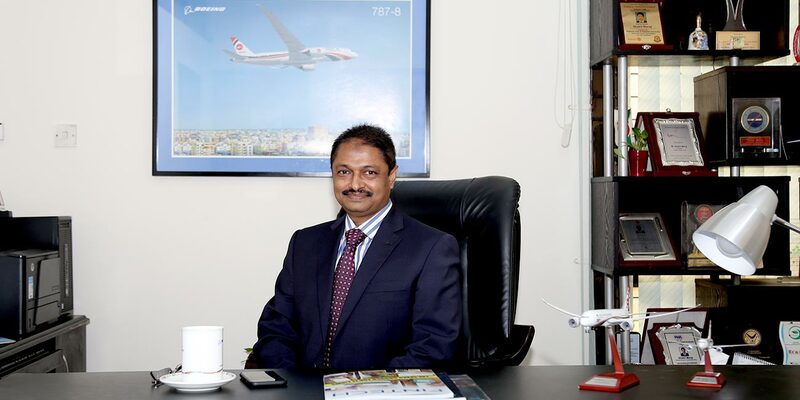 The fact that Biman is operating its business in an ethical manner, by paying back the loan, giving taxes and paying all its employees on time without any due and still making profit, we consider this a huge achievement for Biman. We have managed to overcome many challenges and limitations. 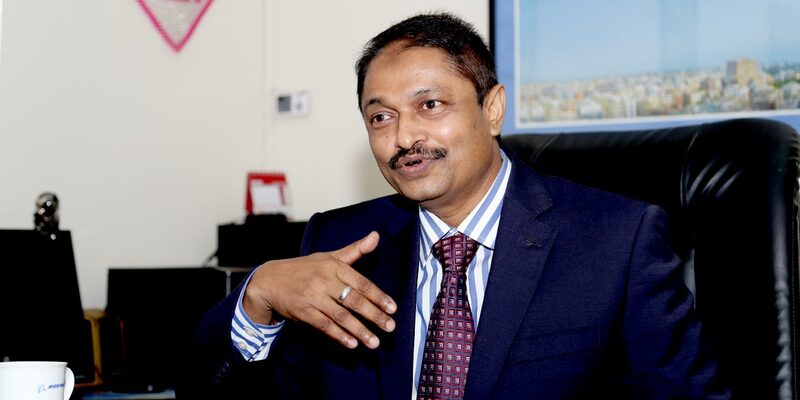 Therefore we feel that Biman Bangladesh is truly a brand ambassador for the country as well as a brand that will take forward Bangladesh to new heights, and in this regard the Dreamliner aircrafts will be a game-changer. Dreamliner is a fuel efficient aircraft and consumes 20 percent less fuel and it helps a lot to make the airlines profitable. At the same time the aircraft will provide the unique experience to customers which will positively reinforce our branding and increase our market base.